A still from the film Imagine Kolle 37, shot in Providence, RI and Berlin. I always thought Providence had pretty cool playgrounds. 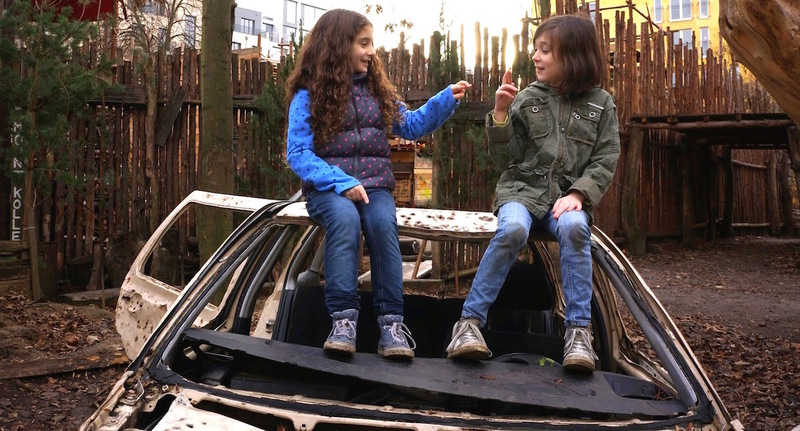 But then we spent four months in Berlin, where we lived across the street from an “adventure playground” called Kolle 37. And then I realized, Providence could be a lot cooler. Fortunately, there is already a movement in Providence to try to bring an adventure playground to the city. Hi, I just found your blog and am so grateful! My family is moving to Providence – like you we used to live in Manhattan and Berlin. i’ll Be clicking around a lot. Any advice/posts you could point me to? That’s great! If you haven’t already check out this post: https://therhodelesstraveled.com/2013/01/03/three-years-in-providence/ It’s quite a few years old now (we’ve now been in Providence eight years actually), but it’s a great read for those moving here. Fee free to get in touch if you have questions.